Senior kitties are seeking a forever home to live out their golden years. To honor them, we offer a $0 adoption fee. 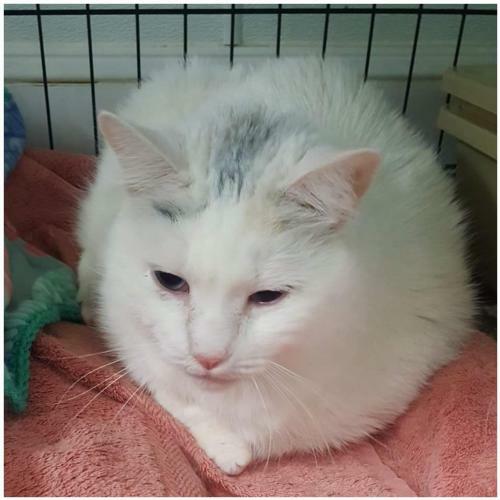 Sasha, is a very quiet short-haired senior female with a sleek white with gray-spotted coat. Sasha's owner surrendered her, due to domestic violence abuse in the home, and she would love to find a forever family to call her very own. With pretty eyes and a pink button nose, this sweet girl would love to get the chance to meet you - fill out an online application today!